The Convector Wood Heater offers all the benefits of our traditional convection heaters, with the addition of a pedestal. 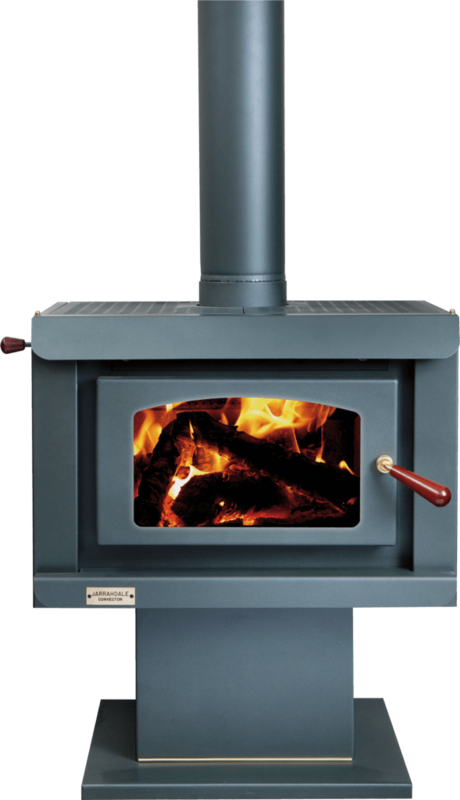 This pedestal allows the firebox to stand proudly, 320mm from the floor, making your wood heater an attractive, standout feature of the room. Thoughtfully designed, the Convector is encased with side heat-shields for added protection and features a large door opening to cater for bigger logs, ensuring your home is always warm and cosy. The Convector Wood Heater can also be custom-made with four, steel legs instead of a pedestal so that it is in keeping with the style of heritage and character homes. The Convector is also available as a built-in wood heater, for installation into a fireplace opening. If you would like to know more about the Convector freestanding wood heater, please fill out the form below and one of our friendly staff members will be in contact with you as soon as possible.